* No cancellation charge if cancel 3 days prior to arrival date. Within 3 days or less, one night cancellation charged. Credit card details require to secure the booking only is not charged. The guest pays directly at the hotel reception. * Children age 12 and older are charged the adult rate. Please include them in the booking by entered in the No. of Adults box. * Hotel reserves the right to cancel or modify reservations where it appears that a customer has engaged in fraudulent or inappropriate activity or under other circumstances where it appears that reservations contain or resulted from a mistake or error. * Rates are quoted in US Dollar (USD). * Extra person added to the booking may be offered in extra bed. * Rates quoted are inclusive of breakfast, taxes and service charge. * All rates and privileges quoted are subject to change without prior notice. * Payment due upon check in at hotel. Payment is by cash, Visa card, or Mater card. 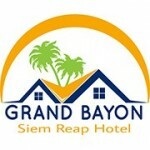 The Grand Bayon Siem Reap Hotel is located just a few minutes walk from the popular tourist locations such as the night market and Pub Street. 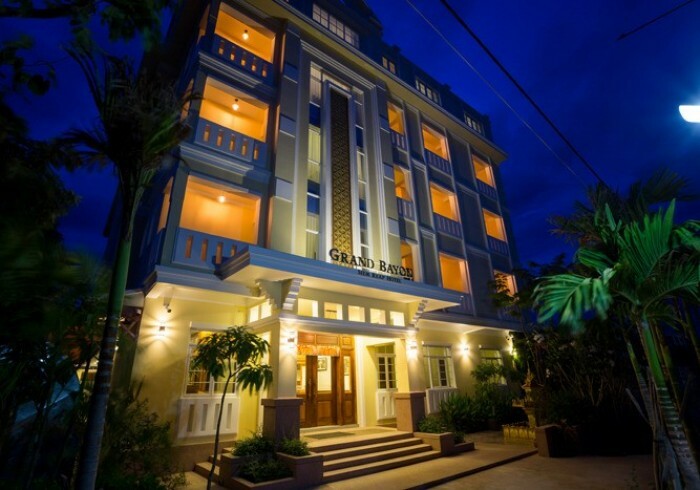 We have a 24-hour front desk who can help with tour bookings, transport arrangements, and can provide general information about Siem Reap and things to do. We are a family-friendly hotel with a range of deluxe rooms. All our rooms come with air-conditioning, international electrical sockets, cable TV, minibar, coffee and tea making facilities, and a room phone. We also have a swimming pool, bar, and restaurant. We serve a range of Cambodian and international cuisine. We have 24-hour security to ensure safety at all times and we have an elevator which services all floors.